Let’s be real – you’re here for the Pages Toolkit, not my introduction to it. So I won’t delay your getting it by going on about why there’s never been a better time for your business to be on LinkedIn, or how the recent relaunch of LinkedIn Pages, the next generation of LinkedIn Company Pages, has made it simpler than ever to connect with LinkedIn members authentically and build lasting connections that can grow your company. Your time is too important for me to yammer on about how Pages are designed to help you make the most of every minute you invest on the platform, with intuitive new features and API integrations that make it easier than ever to start meaningful conversations among LinkedIn’s community of 610 million members and 30 million Pages. This infographic provides a high-level overview of how LinkedIn Pages work. In it, we break down Pages, Updates, Showcase Pages, and Analytics, briefly explaining what they do and the opportunities associated with each. Review this to make sure you’re taking advantage of the primary ways Pages can help your business. If your goal today is to set up your new LinkedIn Page or Showcase Page, this infographic will help you do just that. With this guidance, you’ll see just how easy it is to create your Page, manage your Page, and also setup a Showcase Page should you so desire. First, you'll find a simple, seven-step walkthrough for crafting your company's headquarters on LinkedIn. And when we say simple, we mean it. If you follow the list, we wager you can accomplish your Page setup in about the same time it'll take you to eat your avocado toast. Next, you’ll learn how to access the management tools. Here, you can easily designate your Page’s admins, posters, and managers. I also encourage you to log in from the mobile app to see how easy it is to manage your Page on the run. In just two to three hours per week, your business can achieve an “always on” presence that’s sure to impress, and we provide a few suggestions for investing your time wisely. Lastly, if you’d like to have a Showcase Page so you can highlight a specific aspect of your company, simply follow the five-step method provided and before you know it, you’ll have added “create Showcase Page” to today’s list of accomplishments. 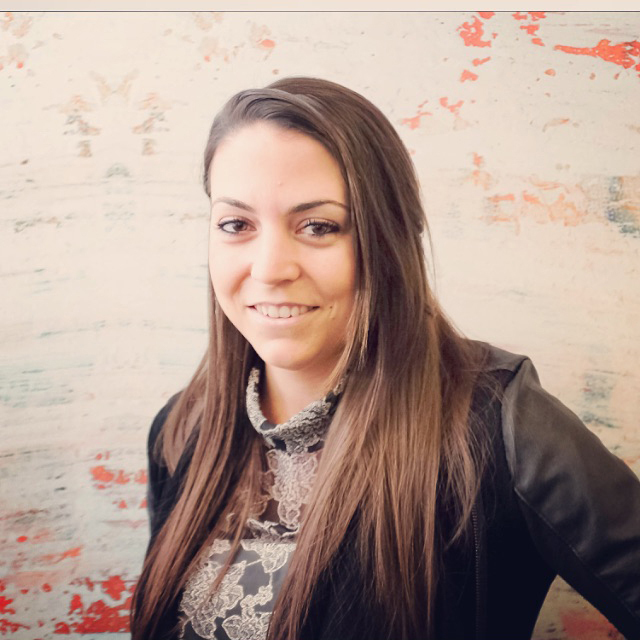 Okay, now that your LinkedIn Page is coming together, what next? It's time to break the ice. Not knowing what to say, especially for your very first update, is only natural. This checklist answers all of your “Am I doing this right?” questions so that you can create and publish with confidence. Here, you’ll find advice for everything from message length to types of content to share, from using hashtags to implementing eye-catching visuals that enhance engagement. 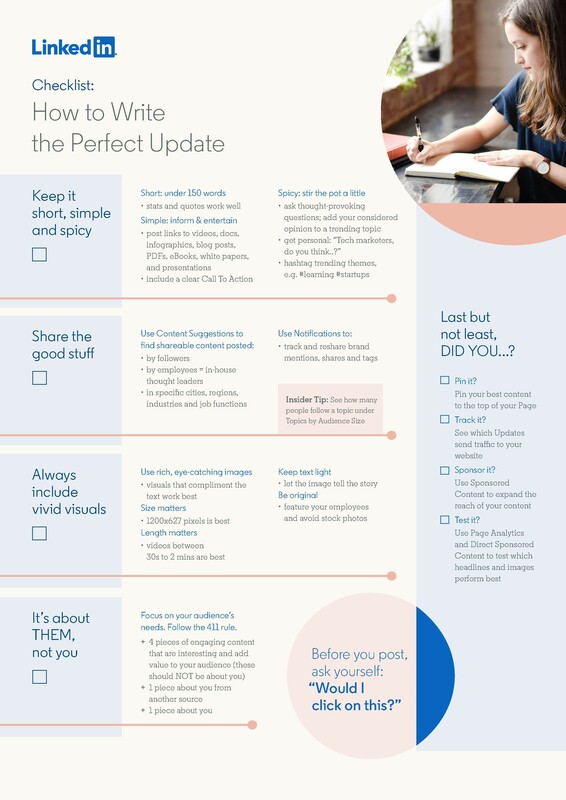 This infographic also contains a handy reminder checklist to help ensure you’re maximizing the potential of each and every update. They say the first step is the hardest, but we're hoping to change that. These resources are designed to remove any confusion as you set up this crucial piece of digital real estate. Your time is too valuable to delay one of the smarter investments you can make for your business. So let’s get started, shall we? Download the full LinkedIn Pages Playbook and empower your organization to engage the world’s professional community.